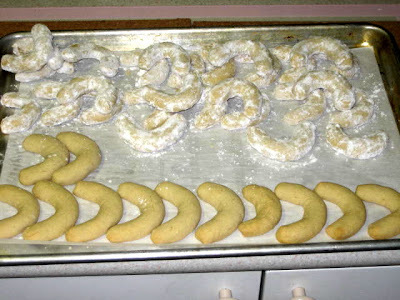 Vanila crescents is another item that is on every Czech Christmas table. If you don’t make them you just buy them, just like potato salad and open sandwiches (Obložené Chlebíčky) being other “must have“ for Christmas. It is a little bit tedious because of the time it takes to roll all these small crescents but it is well worth it. When you eat them they just melt in your mouth. Hmmm...No wonder, with all that butter! Cream butter and add sugar then add egg, salt and vanilla extract. Beat in the flour half the cup at the time, then add almonds and continue mixing until mixture becomes slightly stiff dough. Shape dough into a log, wrap in plastic wrap and refrigerate for at least an hour. Preheat oven to 325 degrees. Line two 12 x 15-inch baking sheets with parchment paper. 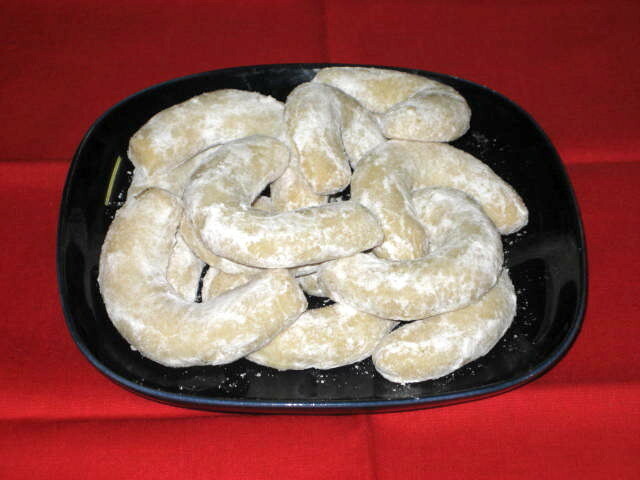 Pinch off walnut-size pieces of dough, roll them into ½” thick round strips and shape into crescent shape. Bake 15-20 minutes or until light golden brown on the bottom. 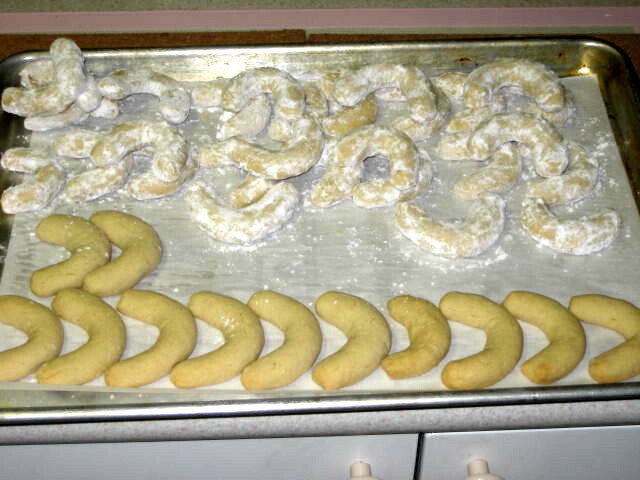 While still warm, roll in confectioners' sugar or vanilla sugar. 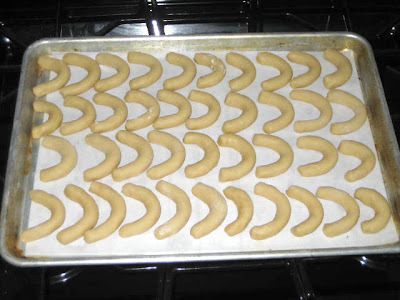 Let them cool and store in an airtight container. These will keep several weeks. Dust with more vanilla sugar before serving. They are so brittle that you just can’t dump whole baking sheet into the sugar, they have to be coated one by one.